If you were to match synthetic oil vs regular oil (also called conventional oil) in a grudge match who would win? Well, the first thing to do is probably to define each type so that you know what we’re talking about. What is the difference between synthetic oil versus conventional oil and which is better? For a start, synthetic oil costs double if not triple when compared to conventional oil. Synthetic motor oil has some added value to cover this extra cost. 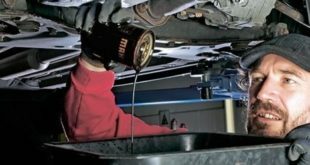 Most experts recommend the use of synthetic motor oil since it has superior capabilities as a lubricant. However, there are some significant benefits and key differences that most people need to take note of which can help them make better decisions when choosing their next oil. Conventional oil also known as regular oil is a byproduct of crude oil. Regular oil is usually produced through the normal oil refinery process. Crude oil has the natural component of mineral oils which are contaminants that cannot be separated when processing engine oil. However, some performance additives are usually introduced to increase efficiency and viscosity so that the oil does not break down easily. These contaminants associated with conventional motor oil make it more impure thus making it less superior since it has a shorter lifespan. The performance also becomes weaker when exposed to extreme temperatures – either very hot or very cold conditions. As the name suggests, synthetic oil is produced through artificial means. It has a higher purity level than regular oil because it is processed through chemical synthesis – a process that combines different organic compounds to improve its efficiency levels. Special performance additives make synthetic motor oil superior since it does not break down easily when exposed to extreme conditions thus helping protect the engine for long periods. When oil breaks down, it solidifies. When this happens it forms a mineral like deposit called sludge. This has adverse effects on the engine life and performance of your vehicle. The only limiting factor of synthesized oil is the price. As mentioned, it can be up to 2 or 3 times as expensive as standard oil. Origin Synthetically produced. Made from crude oil that comes from the ground. Components Made of 2 components: 1. Base stock which is artificially created. 2. Additives which are added to prevent sludge build up and mineral deposits and also to provide superior engine protection during extreme driving conditions i.e. extremely cold and hot temperatures. Conventional oil has its origins in crude oil which is separated into two types of oil that are thick and thin. The thinner oil that is extracted is used for conventional motor oil which is the base stock. Additives are then added by the oil manufacturers to offer various benefits. Drawbacks Is more expensive – often 2-3 times as expensive – as regular motor oil so there is a cost consideration. Because conventional oil comes from the ground, there are some natural contaminants that simply can’t be removed and that remain. Benefits Better protection in extremely cold and hot conditions and in high speed driving conditions. 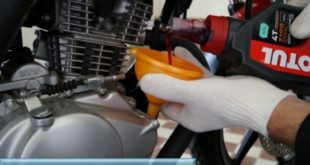 Longer oil change intervals (i.e. it lasts longer than conventional oil). Can increase the life of your engine through better protection. Fewer impurities than conventional oil. Cheaper than synthetic oil, often 2-3 times less expensive. Readily available (not that synthetics aren’t). Does the job and is likely all your vehicle needs in most cases unless you do extreme driving (i.e. frequent high speed driving) or live in extremely cold or hot climates. Use Some people believe that synthetics are not ideal for brand new vehicles during the wear in period or for high mileage vehicles that might be prone to leaks due to the thinness of synthetic oil. 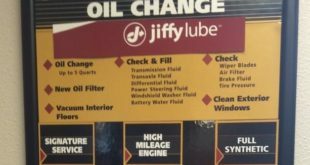 In fact some synthetics manufacturers recommend sticking with conventional oil until the first scheduled oil change and then switching to their synthetic product. Can be used with any type of vehicle at any time in the life of the vehicle. High mileage and other specialty oils are available depending on the condition of your vehicle. 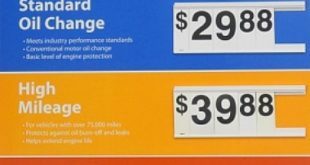 This table should shed some light on who wins the synthetic oil vs regular oil battle although it does depend on your driving conditions (i.e. weather), driving type (regular driving or long, high speed driving) and vehicle type (i.e. does your manufacturer recommend synthetic oil perhaps making the question of whether or not to use synthetics a moot point?). So what we can see? First of all, it flows much easier especially in the cold weather and therefore is a good solution if one drives in cold weather situations. It is also quite resistant to the viscosity breakdown. This simply refers to the ability of the oil to have free flow in all the temps. It also safeguards friction, chemical contaminants, and heat. On the other hand, the synthetic oil change has some disadvantages that one ought to look out for. It is twice as expensive as the ordinary oil and even though it is known to last longer, it might not be easy on the wallet. 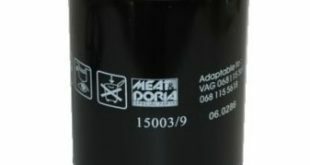 Since it flows quite easily it is not suited for use on engines of high mileage. Also, it is better not to use it with new engines since it is quite slippery and can hinder the functioning of the new parts in the engine. So is synthetic oil better than regular oil? In most cases, you get to decide whether or not the more expensive synthetic oil is worth the cost. You can always pick one oil change coupon from our collection and save some money. Check out the benefits and drawbacks of each type of oil and compare that with the type of driving that you do since frequent high-speed drivers tend to be the type that synthetic oil offers the most benefits too. The big question about synthetic motor tends to focus on which sorts of drivers will actually gain noticeable benefits when they use the products? In general terms, drivers who experience cold startups (i.e. people who live in the northern hemisphere and experience harsh winters) and those who experience high-speed driving in extremely hot conditions are those who will notice the most benefit from synthetics. In other words, drivers who experience extreme temperatures whether hot or cold and those who regularly drive at a high speed.